Facebook is the single largest advertising platform on the planet, and every business should be using it. If you are not, or want to know more – contact us. Recently a number of changes were introduced to the business side of Facebook, page layouts have been changed and advertising is different. Jon Loomer, a marketing expert who specializes in Facebook advertising was interviewed about the changes by Michael Stelzner. Jon is host of the Social Media Pubcast and blogs at JonLoomer.com. If you read the article you’ll discover updates to the 20% text rule, custom audiences, and more. Here’s a summary. The 20% text rule in images has gone – or at least changed. The grid has gone. Less text is still better but more text is now allowed. Facebook custom audiences now has an advanced feature of frequency to target people who are fans or one time visitors. Dynamic product ads are now changed to dynamic ads to allow for more than just product advertising. You may have seen ads from companies whose websites you have visited showing up in your Facebook feed. Contact us today if you want to improve your website and social media presence and learn more about Facebook Advertising. 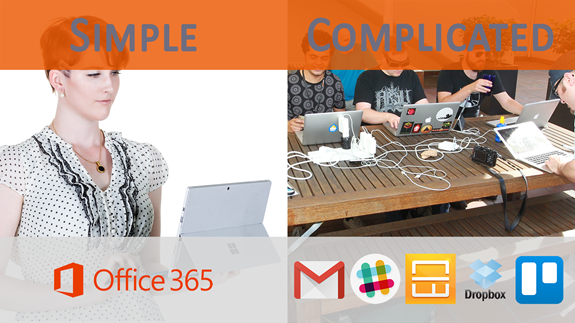 There are so many parts to Office 365 it can sometimes be confusing where to start. We often get asked by clients if they should be using SharePoint or OneDrive for Business for example. Today we will discuss data storage. Next time we will discuss data sharing. Storing data in the cloud is an obvious thing to do now, and almost a given for most businesses. If you are yet to decide to store data in the cloud, then maybe review some of our past articles explaining why. The rest of this section assumes you are going to and help you determine which service to use and why for what data. OneDrive personal comes free with 5GB space with a Microsoft ID. There is no charge for this service and it automatically syncs to your pc if you are signed in with your Microsoft ID. Windows phones also save images here automatically. Dropbox has a free 2GB account. This is also a great space for iPhone or Android photo backup with the Dropbox App having the ability to automatically upload your photos. Your Office365 subscription account has 1TB of space in it for personal storage. Note if you leave the firm or cancel your subscription this space will disappear. A team, subcommittee or small group is created to manage a task or small project. Data needs to be shared with the entire group and available to all. Files store here are accessible to all users in the group, and online simultaneous collaborative editing is possible. · files for data storage – e.g. Word, Excel, PowerPoint etc. Hopefully that gives you some ideas of how to use the different places to store data in. There are other spaces like Google Drive, Box and many more, but these are the typical spaces for most Windows users. Welcome to the 37th edition of this newsletter. Did you realise that if you wrote a fortnightly newsletter to your clients that you would have 26 great articles a year to post on your website that demonstrate your expertise in your field of specialty? That creates amazing google juice for improving your SEO and website enquiries. Talk to use about disruptive selling techniques using digital marketing skills. More information below. Don Schultz, professor emeritus-in-service at Northwestern University, is often considered the pioneering thinker in the discipline of integrated marketing communications. At 80 years old he is still actively challenging conventional wisdom and advocating for change within the marketing profession. …the first thing they ask you is, “What are you trying to do? What problem are you trying to solve?” They start with the customer and then work from there. Very few organizations are prepared to do that. Bruce Rasmussen from Carpe Diem here in Australia has been teaching those who want to learn about disruptive selling and the new buyers journey. Here at Jethro we help our customers wrap their heads around these concepts in relation to their business and how to apply technology to better market to their customers. As mentioned in the opening paragraph a blog site full of expert information answering new buyer’s questions before they even need to know them along with customer testimonials can help establish you as the go to source when they have their status quo shattered and need your product and service now! Contact us today if you want to improve your website and social media presence and establish your expertise in your marketplace. Rather than describe each area I prefer to start with the common workloads people have and explain which are the best tools for each. Just as a landscape gardener might have a shovel, a bob cat and a backhoe each can be used to do the same job different ways and with different capacity, so the components of Office 365 often overlap. Lets’ start with the most common requirements information workers have today. Ill cover off these over a few newsletters. Today we will start with email. We all receive lots of emails every day but there are different sorts of emails, and they have different functions. There are at least 5 places we can store and access email. However, there is one primary differentiator. Does the email need to be seen and acted on by multiple people or just one person? Personal emails should be sent and received using a user accounts personal email address – e.g. john.doe@yourdomain.com. Microsoft Exchange in Office 365 gives each user a 50GB mailbox and also an archive capacity that is dependent on the licence. (Kiosk users get 2GB). The best place to store these emails is in your personal email account. For emails to be accessed by multiple people there are numerous places and the scenarios are a bit more complex so I’ll use a table to demonstrate some of these scenarios and the email location. Shared mailboxes in Office 365 make it easy for a group of people to monitor and send email from a common email addresses, like info@contoso.com, support@fourthcoffee.com or contact@contoso.com. When a person in the group replies to a message sent to the shared mailbox, the email appears to be from the shared mailbox, not from the individual user. Shared mailboxes are a great way to handle customer email questions because several people in your organization can share the responsibility of monitoring the mailbox and responding to queries. Your customer questions get quicker answers, and related emails are all stored in one mailbox. Emails need to be sent to the entire group and available to all. When you join a group, your email address is automatically added to the distribution list and you gain access to all group information. You don't have to wait to see group email or view a shared document. You join, you have access to everything, from everywhere: in the cloud, on the desktop, or on a mobile device. Check out this video to see Office 365 Groups in action. Public folders in Outlook give you a great place to collect, organize, and share information about particular topics or projects within an organization. "Public" in this case means viewable by everyone within the organization, not the world at large. When you post a message to a public folder, you're not emailing it to anyone, so no one's Inbox gets cluttered. Instead, people can check the folder whenever they want to look for interesting posts. Hopefully that gives you some ideas of how to sue the different places to store, send and receive emails from. Contact us if you need help configuring or using any of these Mailboxes, Groups or Public Folders. Its end of Financial Year – Do you need a tax deduction? Purchase a 5-hour block support from us and save $165 on your next lot of support from us. Contact tim@jethromanagement.biz now for details. Our adhoc support cost is $121 inc GST / hour billed in 15 minute increments. For onsite call-outs we charge $143 for the first hour. Pre-purchase a minimum 5-hour block and we bill to closest 5 minute and the cost is only $440 for the 5 hours – saving of $165. Call out surcharges still apply where applicable. See all our rates and charges. Contact us today if you want to pre-purchase before the EOFY. I recently wrote an article titled The Top Ten Tools for any Startup. It is relevant to probably all small and medium businesses regardless of their age. Effectively I recommend the powerful Office 365 Business suite ads the primary productivity tool. Depending on your subscription level you should have access to these major products and if you are not using them you are missing out on some amazing tools. Exchange Mail, Tasks, People and Calendar – Accessible Online, Outlook for desktop, Mail apps in PC and Mobiles – Includes enterprise features such as unlimited archiving* 50GB mailbox, shared calendars, delegate access to mail, calendar and tasks, shared mailboxes, Out of office messages and much more. Skype for Business - Professional meetings and collaboration—all integrated with your Office apps. Online meetings, messaging, calls and video with up to 250 people. Delve – monitors interactions between people and the information they use. It then applies machine learning to these interactions in order to determine what is most relevant. Read more about why Delve should be the centre of your office. Video – create shared archive of video for your business, available online anywhere. Public or private. Sway – visually creative online presentations created in minutes with no coding skill required. Planner – online task management hub – I write more about this below. PowerBi – extremely powerful way of visually analysing your data from accounting systems, sql servers, excel files, google analytics or many other data sources. 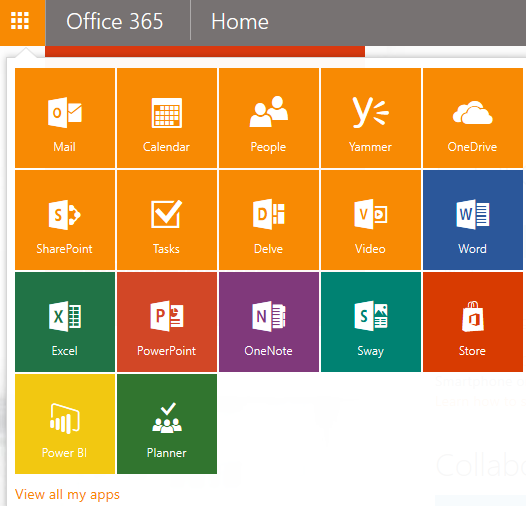 See the full suite of Office 365 products. *Some features are dependent on the subscription level. Contact us if you need help configuring or using any of these applications. If you don’t have access we can check your subscription level and advise how to upgrade. A dashboard reporting system is a fantastic way of quickly demonstrating trends in company financial, production or human resource data. Many employees spend hours and sometimes even days a month creating reports like this. I have spent months in some organisations automating these to be generated automatically in order to save valuable employee time. If you want to create visually engaging dynamic reports like the one pictured, then you need Charley Kyd’s Excel Dashboard tool. I have been an affiliate for Charley Kyd’s Excel Dashboard reporting tools for years. 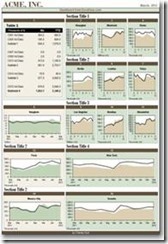 If you want to create professional dashboard reports in Excel 2007 and above, then check out his deals. Contact us today if you need help purchasing or using the Excel Dashboards. Microsoft’s flagship mobile phone the Lumia 950 and 950XL are now both available from Telstra. They have been available at Harvey Norman for over 6 months as well as the Microsoft Store. Right now Harvey Norman have them on a sale, $400 cheaper than when I bought mine! I recently read an article written by Dropbox titled the top ten tools for any new startup. I’ve removed the redundant word “new” in my title. However the reason I am writing this article is to to both lightly criticise that article and to give you an alternative set of tools with some practical startup business reasons why my reasons make sense. First of all the Dropbox article does make a lot of sense functionally. Each of the tools they suggest contain functional requirements for any startup and most businesses as well. So, understand that my criticism isn't of the functionality requirements. My reason for criticism is based on the independence and thus lack of interdependence each of these apps have with each other. Each has their own authentication process and sign in, each has their own data set or information gathering component, and most of them don’t talk to the others. Yes I am aware there are workarounds and that you can join things together with the right tech skills and APIs but that is another whole layer of tech and complicated. Why is this important? Imagine your startup is just you and a mate, and then you find a developer or a team of developers, start working with a marketer for content development and maybe you then employ a sales professional. Now you have a team of people – maybe several teams, and you need to get them all authenticated in every one of these systems – each with its own process. the more layers of complexity the more time and money is sucked out of you to onboard every new person, and the more complex it it to setup in the first place. I’m going to focus on the primary items in this list and suggest that Microsoft Office 365 does them all better than the apps in this list, with one sign in access to everything, collaboration in each of those spaces that knows about all of the spaces, security already in place for access to data and so on. point once that list gets over say 100 recipients. the entire team doesnt need access to it, probably only a couple of key people. – Instant Messaging, Video conferencing, Webinars, Presence, Unified Comms. You name it – this tool is invaluable for any team to communicate together. Office 365, has integrated presence and IM history stored in Exchange. UPDATED: Microsoft Teams is replacing Skype for Business, has a massive amount of integration with external apps and Slack like communications. content meta-data tags and tight integration with the whole Office 365 suite. as a cloud accounting application. Price and price of plugins is one reason. is a much better option for long term scalability and growth. data to CRM data to just about anything else you can think of. I have suggested my list on an assumption that the primary authentication anyone needs for everything is email. You need an email account to create an account anywhere else. A start up, like any established business wants and needs to control information and data flow for security and potentially legal reasons. Having one place to manage as much of your security as possible limits the exposures and risks of data leakage. This is especially important in a startup who maybe be working with new technology or an advantage that needs secrecy. Microsoft Office 365 provides that Email account, authentication and security. 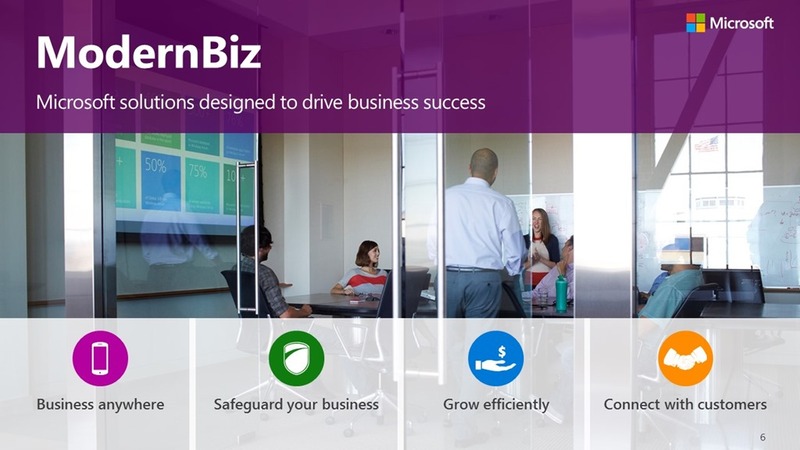 For no additional cost or signup requirements and with one single download and install you then get access to all the productivity apps of Office, Instant Messaging, High Def Video Conferencing, Planner, SharePoint and One Drive for Business and even PowerBi with some licences. There’s 5 of the ten straight up, though I would argue the tightly integrated combined power of these is far higher than the non integrated combined power of Trello, Dropbox, Slack and Rapportive. Add PowerBi and Dynamics CRM with the same authentication if you need them. The only separate items are accounting, Mailchimp and LinkedIn, each of which your entire organisation doesn't need access to anyway. 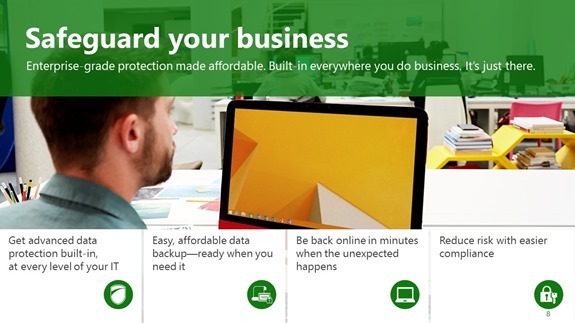 With Office 365 you have now dramatically reduced cost, simplified your onboard and offboard process for employees, gained tight edge control security. All your data is in one authentication space and not constantly bouncing between several. I have recently had the opportunity to use the services of “Jethro Management” to work with me on some business planning, coaching, etc. Whilst we are still not completed yet in what we are working on, I can honestly say that Tim and his staff have been very professional in every way.